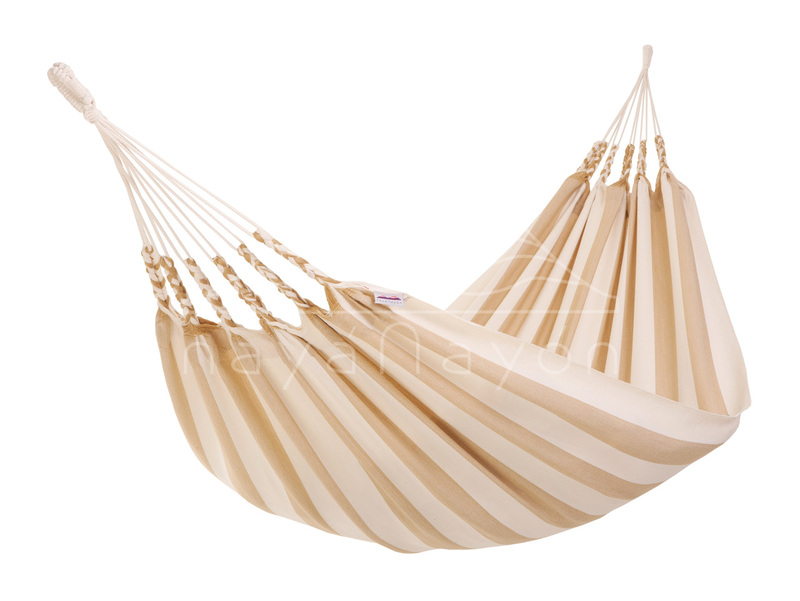 Cool Summer Sand Hammock from Naya Nayon. Enjoy summer to good way. You know what a hammock is for? To rest. To softly swing. Loose the world around you. And let all flow. 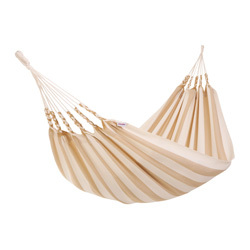 And that's what the Cool Summer Hammock of Naya Nayon is for. Cool Summer hammocks are cotton hammocks with stripes in soft colours. Woven of thick cotton cloth and finished by hand in the weaveries of Naya Nayon in Ecuador, South America, the birth place of the hammock. 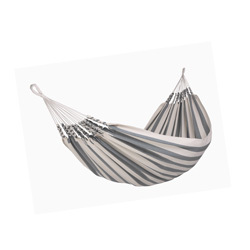 All our hammocks are quality hammocks. Each one has been extensively checked and will last for years. 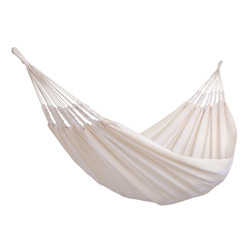 Naya Nayon Hammocks are quality hammocks. 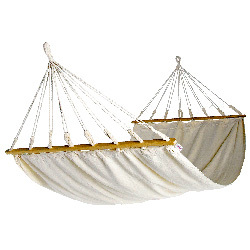 See more about Naya Nayon Hammocks. Which size do you need? 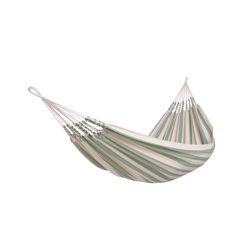 Look here: Hammock Sizes. Opinions of our clients: Clients write. 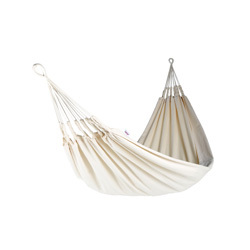 Buy, pay and ship the hammock.